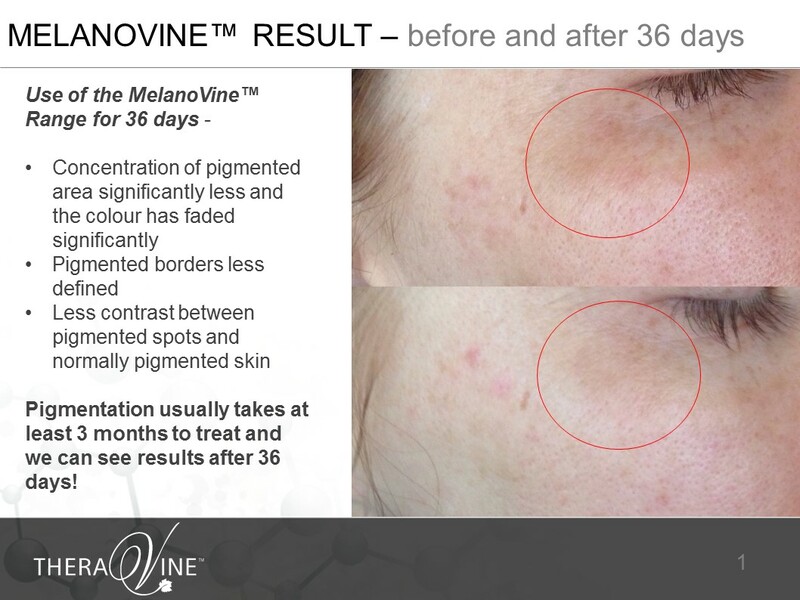 The discovery that oligomeric proanthocyanidins (the anti-oxidants found in grape derivatives) are 50 times the strength of Vitamin E and 20 times the strength of Vitamin C with regards to their levels of anti-oxidants, was one of the biggest inspirations to use these gems from nature. 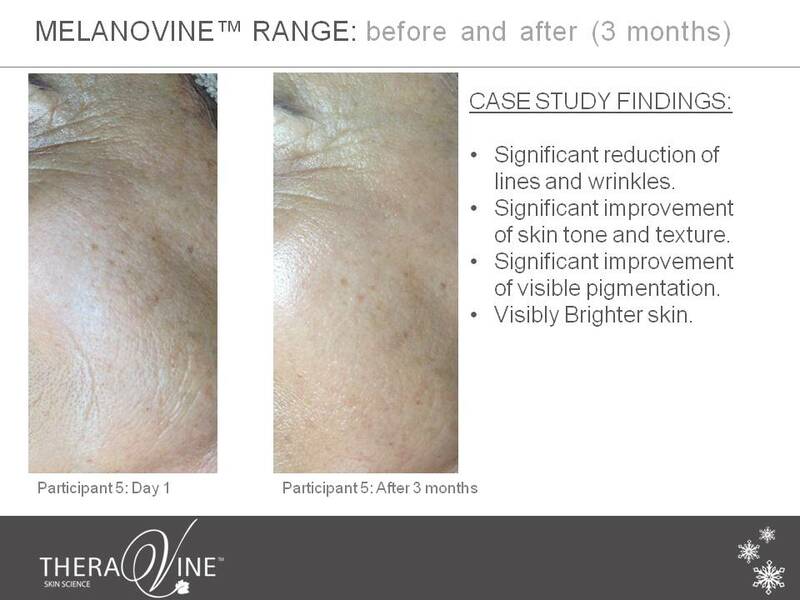 Containing such powerful anti-oxidants fused with the latest scientific actives, TheraVine™ was destined to become a world class ultra-active, result driven health and skincare range exceeding all expectations in the health and skincare industry. For more information on our extensive product categories, click here. 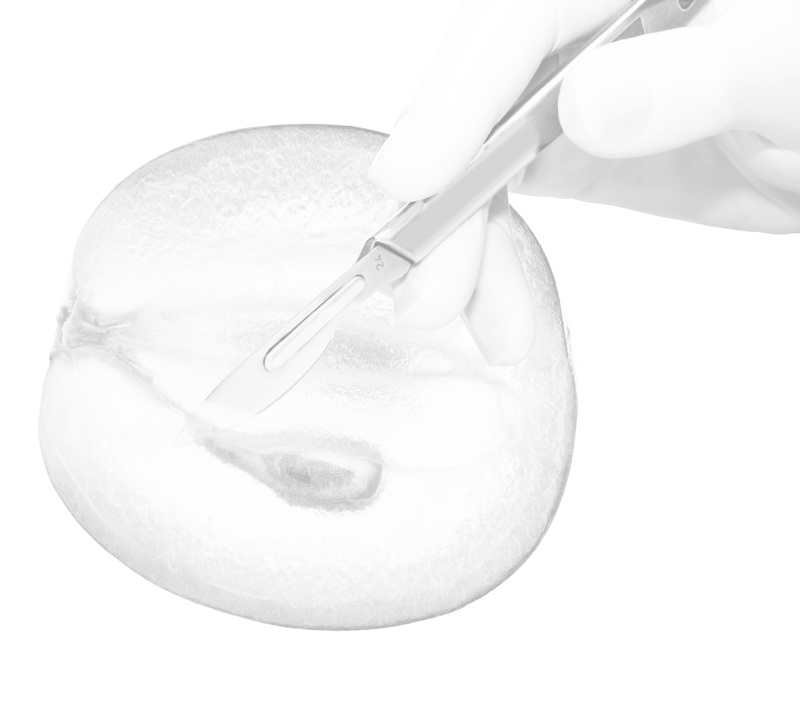 various ways – from signs of the first wrinkles to the reversal of the deepest. acclaimed active ingredients, the secret to the highly effective preparations. Over and above the addition of South Africa’s local cultivars, the below grape actives are also included in the product formulations, some of which are new technologies currently in development that will be added to new formulations launching from 2016 onwards. of mitochondrial DNA, epidermal stem cells and extracellular matrix. 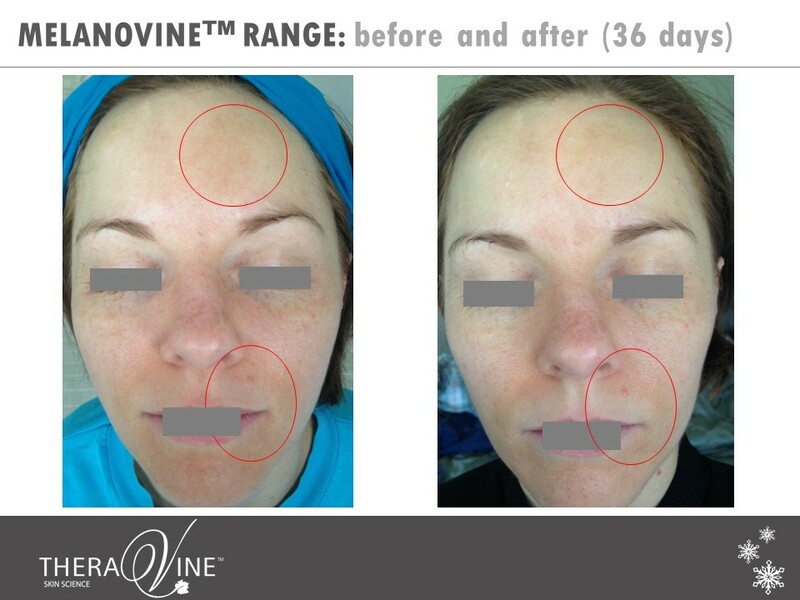 – Patented Vectorized Grape Seed Polyphenols, a highly powerful anti-oxidant with an anti-ageing effect. 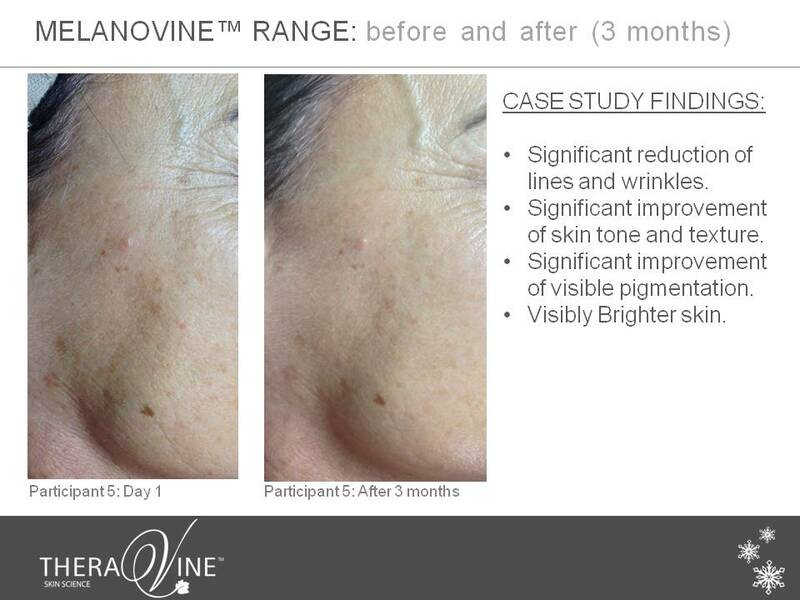 – OPC Palmitate of grape seeds responsible for anti-photoageing, anti-ageing and antioxidant functions. 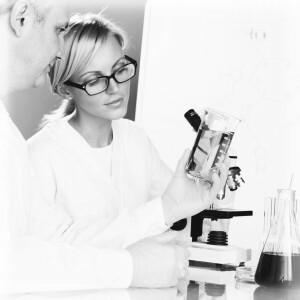 – Concentrated French Wine Extract, a highly effective anti-oxidant against hydroxyl radical and superoxide anions. 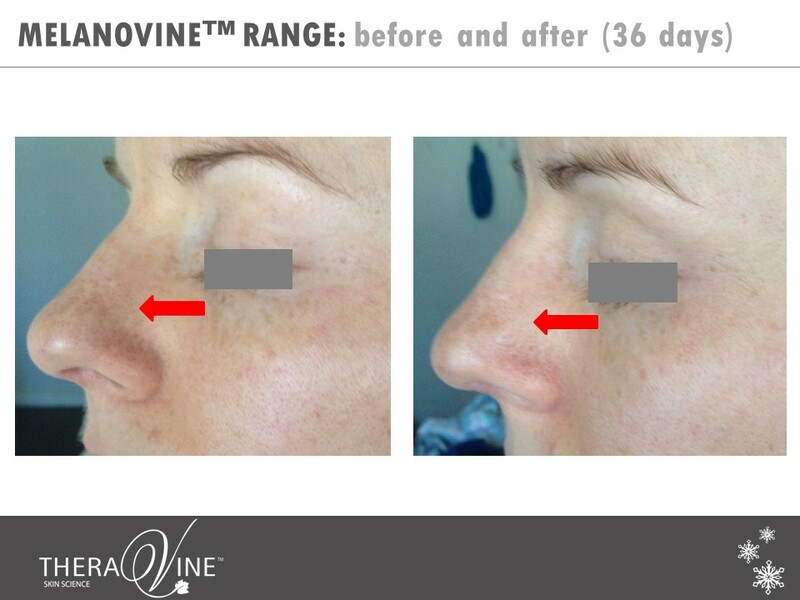 – Resveratrol for its extremely anti-ageing and anti-oxidating properties. 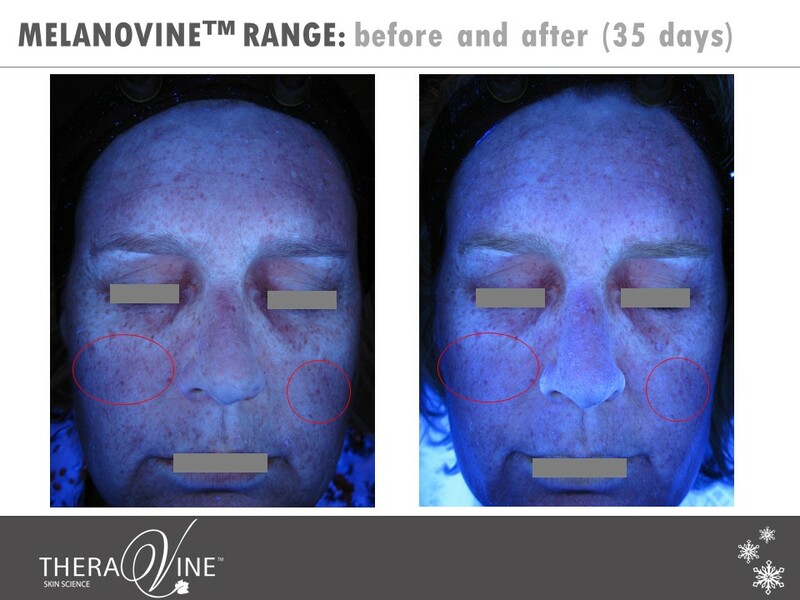 – Grape Stem Cell Technology responsible for the protection of skin stem cells against the harmful effects of UV stress. – Organic Grape Water which contains biophenols to combat extrinsic ageing. – Red Vine Leaf Extract for superior capillary support and the strengthening of venous structures. – Organic Grapeseed Extract for its highly anti-ageing, anti-oxidant benefits.